Hotboys and Pincus Construction are at it again. We’re working at Marketplace at Tech Center, Newport News’ busiest business park. Our top of the line crew had the privilege of outfitting this awesome new store with all their ductwork and exhaust fans in time for their Grand Opening. We continue to provide our top-notch service to Device Pitstop by performing their semi-annual HVAC preventative maintenance checks. Like most commercial enterprises, their HVAC equipment is located on the roof. As one of our preventative maintenance service agreement customers, Device Pitstop gets priority service and money saving discounts. They also have peace of mind knowing their system will last longer and perform better because it is properly maintained. Device Pitstop is a one-stop solution for all your electronic devices. Did you know they do repairs and upgrades in addition to buying, selling and trading? Hotboys has had the pleasure of using Device Pitstop to take care of some of our IT needs. They repaired several of our company cell phones at a fraction of the cost of using our cell phone carrier’s repair option. We couldn’t be more pleased with the results! The Newport News location in Marketplace at Tech Center is one of sixteen locations nationwide. And Device Pitstop is continuing to grow! Their refurbished or repaired devices for sale include computers, Ipods, laptops and smartphones as well as Tablets. They also repair all these electronics and even repair game consoles! Selling your devices to Device Pitstop makes real sense, or should we says cents? Old equipment can be turned in for CASH right in the store! When you sell to Device Pitstop, you have the option to have your data backed up before they clear all your existing data from the equipment you are selling. You can have full confidence that your personal information from your device is secure. Device Pitstop doesn’t just buy electronic devices one at a time either. When businesses, schools and other organizations are upgrading their equipment, they can benefit from the services Device Pitstop has to offer. 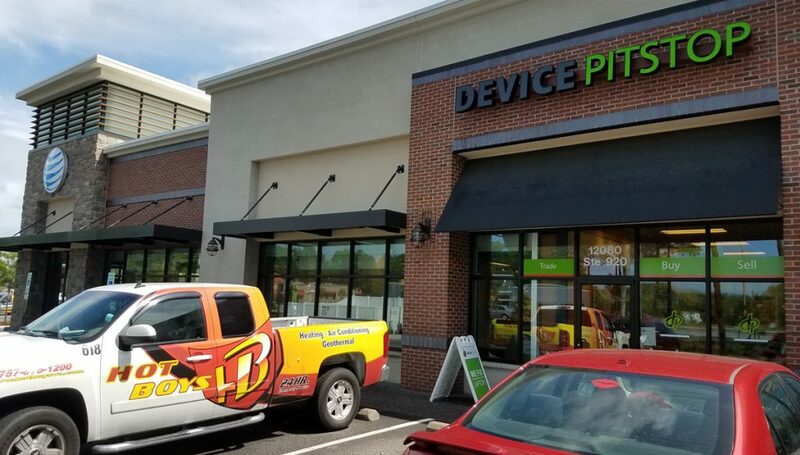 Device Pitstop can even provide your organization, business or school with replacement devices and/ or provide repairs for your current equipment. 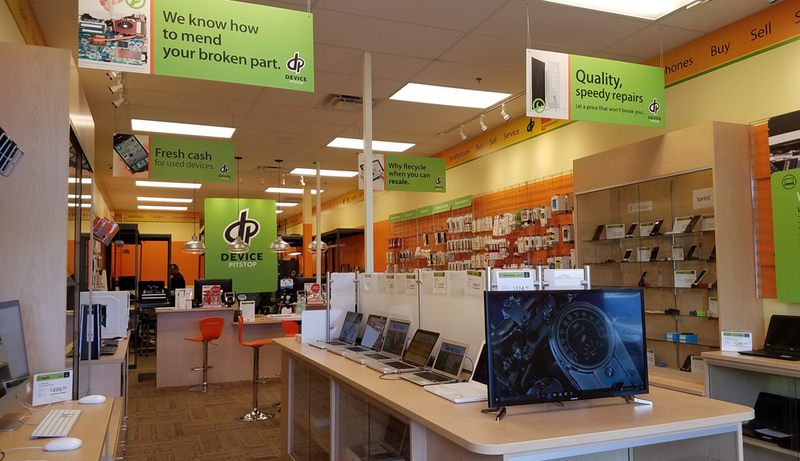 You should stop in today to take advantage of their great services, whether shopping for a device, repairs on your current device or getting cold hard cash for a device you have laying around. You’ll be glad you did.